There are many common myths about Mutual funds. Common investors do not apply their thinking a lot of times and agents/sellers of products a lot times are successful in taking advantage of this and cheat them . Lets see some of the common myths associated with mutual funds below . 1. A Mutual fund with low NAV is better than other MF’s with high NAV. It is Funds Quality , Fundamentals and values that determines your returns and not NAV , its just the “book value” of the unit. Example : Consider Fund A with NAV Rs 100 and Fund B with NAV Rs 5 . Both has corpus of Rs 10,00,000, Fund A has good fundamentals and is better mutual fund in terms of strategy compared to Fund B. After 1 year say their return is 40% and 30% as expected. So the NAV for A will be 140 and for B will be Rs 6.5 and fund A will give better returns compared to fund B. This is a common misconception among the Mutual funds investors that funds which have performed very well in past are the best choice . People believe that if a ABC mutual fund has given 60% return in past year and XYZ has given 45% return , then ABC is a definite choice this year also. They should understand that performance over 1 or 2 years have very little to say about them. They must analyse performance over 4-5 years atleast to understand how a mutual fund has performed. NFO’s are more risky than the existing mutual funds as they don’t have no track record to compare. There is no advantage with NFO when it comes to investments , they have no extra magic. A NFO must be generally avoided until they have very strong strategy and unique and strong idea. As a rule of thumb , no one should have more than 5-6 different mutual funds . and even those must be different kind of mutual funds . People buy 20-30 mutual funds and don’t see that all of them are of similar nature and with same kind of strategy. All of them have same kind investment portfolio. They should put money in some limited mutual funds and all should be of different type. 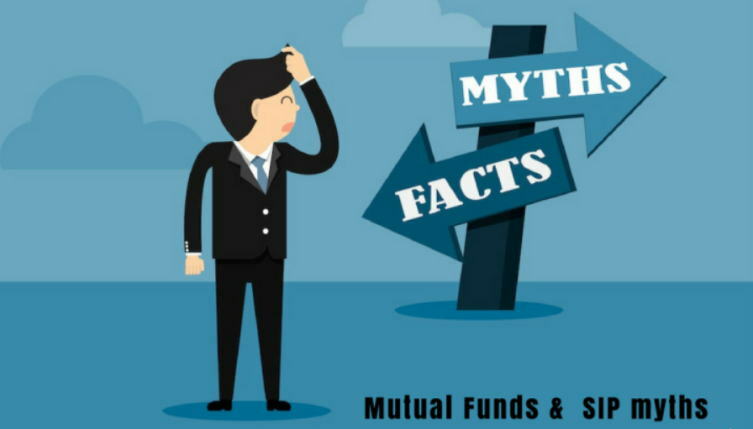 So these are the 4 most common myths that every beginner investor have while investing in mutual funds. Once you start your investments in mutual funds there are lot of things you should know about it to maintain a healthy portfolio and generate a good return. Let us know if you have any query regarding mutual funds by leaving your reply in the comment section. UTI MNC FUND G for 5 year long term simultaneously. Is it a good decision. I have been reading all your posts, specially related to mutual funds, regularly. I have gained a lot of knowledge from the articles, the comments, even the forum. I have invested in HDFC prudence and HDFC top 200 funds, for now. I was thinking of investing in an international mutual fund. Surprisingly, I could not find any article here. Even on the internet, there are very few articles that I could really comprehend. Could you guide me about these funds? Thank you in advance! Can you please shed some light on Indian international funds investing outside India like FT India Feeder Franklin US Opportunities or ICICI Pru US Bluechip Equity etc? extremely useful article. ive just started my career n i have been hearing all sorts of mutual funds n all the myths written above. Thnks again for such a useful article. This is a nice article for beginner especially. But I am surprised to see only one comment on this post. I think people are not reading old articles from archives seems.